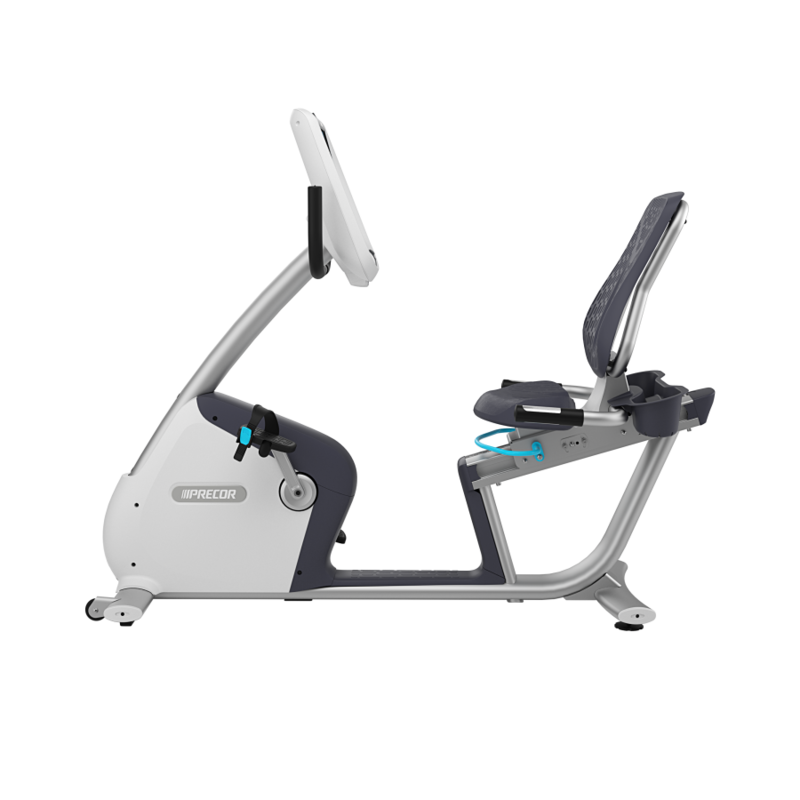 Biomechanics To achieve proper pedaling biomechanics, Precor designed the recumbent bike to maintain similar biomechanics as used on their upright bike. That means setting the angle of the seat rail with an offset from the crank to aide with efficient pedaling and reduced shear force on the knee. The seat rail angle is at 15 degrees with a slight offset from the crank axle. This places the knee directly over the ball of the foot (or pedal spindle) when the pedals are in the 2 and 8 o'clock position. 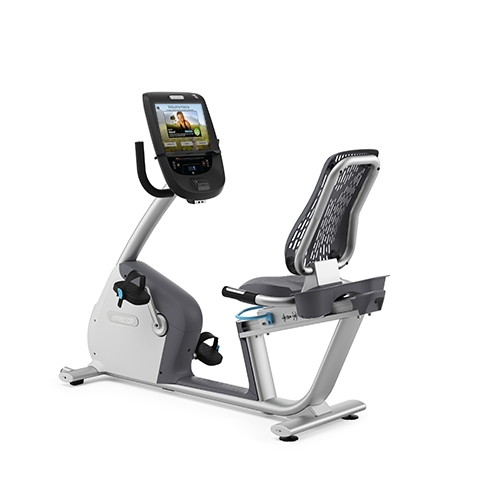 Step-through Design The RBK 885 recumbent bike features a step-through design (14 in / 36 cm wide) with a very low step-over height (4 in / 10 cm). Touch Yes. 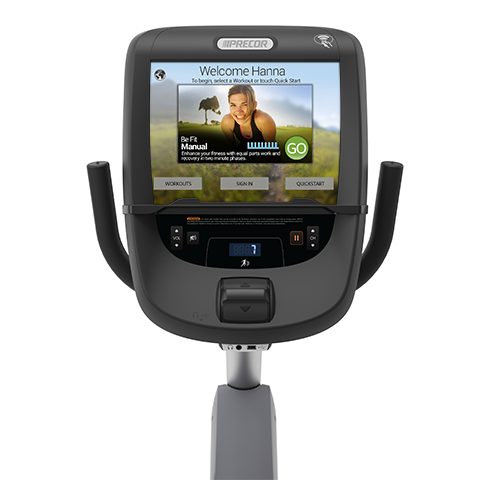 Touch heart rate sensors located conveniently on handlebars next to seat.